Susan came into the sport of triathlon at the age of 24 as a successful collegiate swimmer that would bike and run with friends just to stay in shape. She was a member of the USA Resident Triathlon Team in its second year, in 1997, when she turned pro and started racing on the International World Cup Triathlon circuit. After the birth of her daughter Sydney in 2000, she set her sights on making the 2004 Olympic team. Along the way, Susan competed in the Ironman World Championships in Kona in 2002, which broadened her aerobic base going into the 2004 Olympic Triathlon Trials. She achieved her goal of making the 2004 Olympic Triathlon Team and represented her country proudly in Athens, Greece. After earning her Olympic Bronze medal in Athens, Susan decided she wanted to use the knowledge she had gained throughout her racing career to teach other athletes how to reach their full potential. She is now a high performance endurance coach and masters swim coach and works with triathletes of all abilities, disciplines and distances. Wanting to explore additional methods of pushing her body to its physical and mental limits, Susan ventured into mountain bike racing in 2008 and received the honor of top female in the Leadville 100 Mile Mountain Bike Race. Susan has over 14 years of competitive swimming and over 15 years of elite triathlon racing experience which makes her well-rounded and well-versed to lead athletes to optimal performance. Bob is a USA Triathlon (USAT) Level III Elite Certified Coach and a USAT Youth and Junior Certified Coach. He holds an undergraduate degree in Exercise and Sport Science, a graduate degree in Health and Exercise Science and a second graduate degree in Food Science and Human Nutrition. While Bob has worked with all types of athletes ranging from beginners to Olympians, he currently specializes in working with advanced to elite athletes as well as youth and juniors. Bob was the sport dietitian and strength coach for Susan Williams, 2004 Olympic Triathlon Bronze medalist, during her journey to becoming the first United States athlete to medal in Olympic Triathlon. Bob also served as the personal coach to Sarah Haskins, 2008 Olympic Triathlon Team member and was the personal coach to Jasmine Oeinck, 2009 Elite National Champion. He is also a consulting sport dietitian and strength coach for the USA Triathlon National and Developmental teams. Bob blends his extensive education with his experience as an athlete, exercise physiologist, sports dietitian and coach to provide the most well-rounded athlete service oriented coaching that can be offered. Practicing what he preaches, Bob has been an avid endurance athlete since 1993 and has competed in hundreds of multisport races including six Ironman races, the Boston marathon, and the Leadman ultra-endurance series in Leadville, Colorado. He is currently a top-ranked age-group triathlete who practices what he preaches. Coach Marco was born and raised in Michigan and has dual Citizenship in the United States and Italy (and speaks fluent Italian). From a young age he grew into land based competitive sports including martial arts, soccer and basketball. He moved to Atlanta in 2000 to study Massage and Neuromuscular therapy and practiced through 2004 then moved to Florida to pursue real estate and started cycling to improve general fitness and soon after began racing competitively. He then added swimming (to get over the fear of open water) and running into the mix and did his first triathlon in 2004. In early 2012, he relocated to Colorado to pursue a coaching mentorship program by Bob Seebohar through Multisport University. Marco has raced every distance of triathlon from sprint to 140.6. He has qualified and raced at Age Group Nationals (qualifying for Worlds) and the 70.3 World Championships. He received USA Triathlon Honorable Mention All American Status each year since 2009. He has mentored under Bob Seebohar and is a Kids that TRI Youth and Junior Certified Triathlon Coach as well as a Swim America Coach at Lakeshore Athletic Center. Coach Marco lives and loves the multisport lifestyle and learning to grow within it, focusing on custom coaching for the serious athlete, training and racing with a power meter, avoiding injuries, sharing in the journey with friends and clients and believing that quality and efficiency trump random and excessive volume. John has been participating in endurance events since 1992 and triathlons from sprint to ironman distances since 1995. John has also completed many marathons around the country. He is an accomplished mountain biker and thoroughly enjoys both coaching and competing in off-road triathlons. John also enjoys road cycling and has participated in many of the marquee rides around Colorado. John is a Level I USA Triathlon Certified Coach and a Kids that TRI Youth and Junior Certified Coach and a USA Swimming Stroke and Turn Certified Official. He enjoys seeing athletes of all ages and levels realize their potential and is a firm believer in a sound nutritional foundation for a healthy lifestyle! Julie is a pre-title 9 athlete who discovered the joy of sport a little bit later in life. Completing her first sprint triathlon at the age of 40, not without a near drowning experience, she has become a competitive age group athlete with multiple podium finishes in all distance of triathlon from sprint to Ironman, competed in the Boston Marathon as well as endurance swim events. She has represented the USA in the ITU World Triathlon competition and has received the USA Triathlon ranking of All American many times over. Her formal education is in Nursing, and is a Certified Nurse Practitioner with a master’s degree in nursing, who specialized in health and wellness. She is a USA Triathlon Certified Level I Coach as well as a USA Cycling Level 3 Coach and continues to improve her coaching skills by working with athletes of all ages and abilities, either individually or in groups. Julie is dedicated to health and wellness for all ages and believes in combining competitive sport with a healthy lifestyle. Mary is a USA Triathlon Certified Level I Coach. Mary's primary focus in life is fitness and health. She begins this at home and carries it into all aspects of her life. Mary's interest in health and fitness began early. Active in competitive sports in college, she continues to stay active by running, playing tennis, camping, fishing and hiking. As a mother of three, she loves including her entire family in all of these activities. 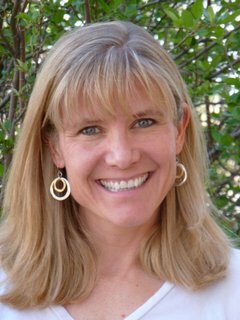 She specializes in working with youth and beginning triathletes. In addition to her USAT certification, Mary is also a Certified Fitness Instructor and has experience teaching pilates, yoga, swimming, senior and youth fitness classes. She feels that the most important aspect of teaching and coaching is to get involved on an individual basis with her students to help them attain their specific goals. Mary's core belief is that the small steps of change make the biggest difference on the path to a healthier lifestyle. She combines her enthusiasm about staying healthy with her knowledge about nutrition, knowing this is a key part of overall health and wellness. Toni started triathlon in 2005 and after her first race she was hooked. She has continued to participate in triathlons through having two children and working a full-time job. Through the sport she has gained many great friends and joined Team EMC as an athlete in 2010. After joining the team she realized the importance of finding a great coach and being inspired by a group of fellow athletes. Since joining the team she has completed many more triathlons from sprint to Ironman distance. She has gone on to accomplish many PRs and has increased her speed, skill and ability in all three disciplines. Because she saw the value in being coached she became a USA Triathlon Level I certified coach, Kids that TRI Youth and Junior Certified Coach youth and Metabolic Efficiency Training Specialist through Multisport University. She wants to inspire new athletes and help experienced athletes reach new goals. Toni understands the importance of taking care of yourself, even while working full time, being a parent and taking care of a family. Toni has worked with the public for 20 years and knows the challenges of shift work and creating a schedule that fits into those needs. Toni also works with the organization Kids That Tri, volunteers at her children's school with the cross country team and with Girls On the Run. Toni enjoys coaching children and showing them the importance of fitness and good nutrition. Through all of this Toni has learned how valuable and important it is to have a healthy lifestyle. Not only is it personally beneficial, but it makes a difference for everyone that supports you and surrounds you in your goals. Elite Multisport Coaching 2012. Simple theme. Powered by Blogger.